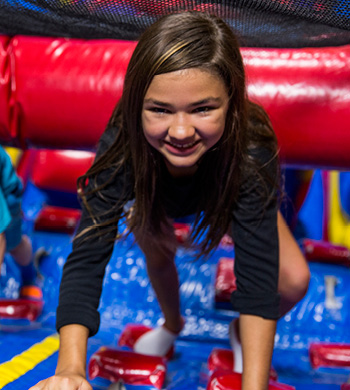 Kids will love bouncing and playing in their own private, secure arenas. Coordinators will have a bouncing good time too and love the ease of hosting a field trip at Pump It Up. Your group will have a completely private field trip, so the kids are safe and secure; and can order lunch for all attendees, making it completely hassle-free. Field trips are 90 minutes long. Admission is $7 per child with a minimum of 15 kids. All adults are free of charge. Party Room Time - 30 minutes FREE with the purchase of 1 meal-deal per child. Meal Deal: $3.25 per child - includes 2 slices of pizza and a drink for each child. 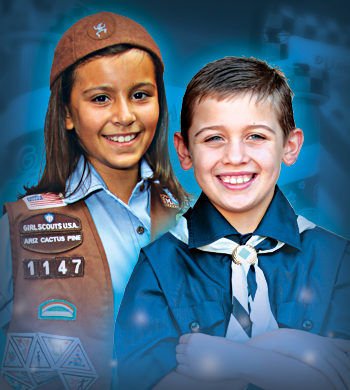 Get ready to "Pump Up" your pack or troop. 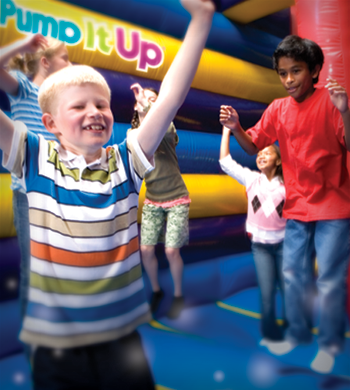 Pump It Up is the perfect outing for your scouts! They'll spend 45 minutes in each of our 2 different arenas. Purchase a special Pump It Up patch for only $1! 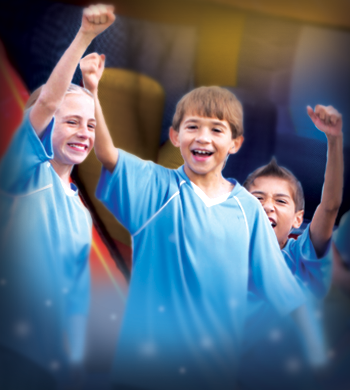 Has your child joined a new team this Fall? Do you have a couple of new kids that have joined your team? Build that camaraderie that bonds a team and ultimately makes "the whole greater than the sum of its' parts" with a fun outing to Pump It Up! You can also have a team party to celebrate games with some tough opponents, a great season or as an end of year celebration and trophy presentations! It's your party ~ you decide! Let them bounce, climb, jump and laugh with free-play as they get to know each other better, or ask us to offer some structured play to encourage fun interaction!